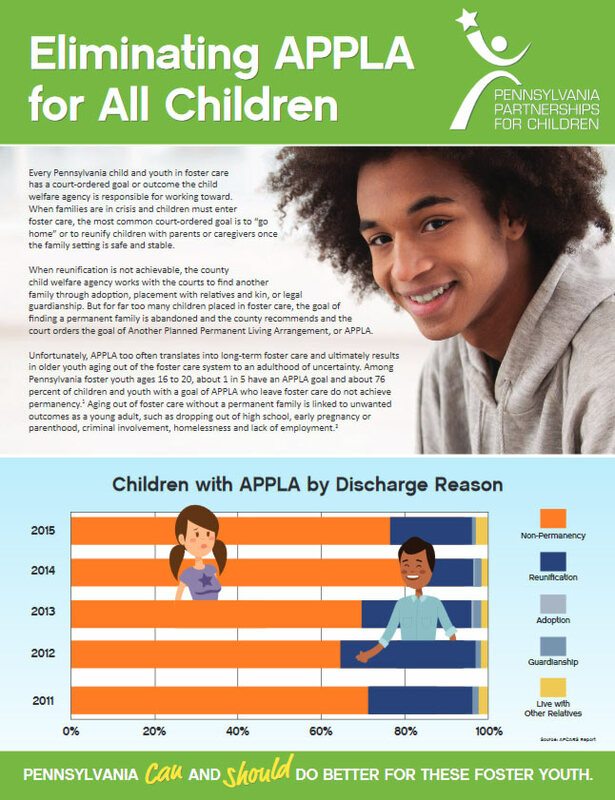 This report demonstrates the progress Pennsylvania has made to strengthen permanency efforts for foster children and youth while highlighting the need to eliminate the least desirable court-ordered goal available, Another Planned Permanent Living Arrangement or APPLA. Too often, APPLA translates into long-term foster care instead of a permanent home for children and youth in foster care. There are targeted practices and policies Pennsylvania can implement to deter, and ultimately eliminate, the use of APPLA.